A Great Week for Year 7s! Superb A Level Results and Best GSCE Results Ever! 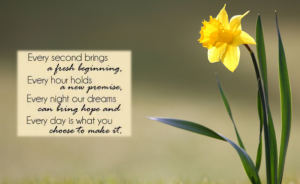 Our Theme of the Week this Week has been New Beginnings. In assemblies students have been thinking about the year ahead to ensure that they build on the success of the past and make any changes that need to be made to achieve their potential in all the subjects they study. For some students this entails more of the same, for others it is about doing things differently to secure even greater success. It was also good to be able to play some short films of last year’s Sixth Formers and a number of Year 11 students receiving their A level and GCSE results; this reminded our current Sixth Formers and GCSE students how important these days are – they literally shape your future. The films also captured some top tips from the students as to how to make the most of their learning and revision to maximise success at these crucial times. Relationships and how we need to be developing these values in everything we do at BMS. Our new school mantra is ‘Our School has a Mind to Be Kind‘ and, again, this is something that we launched this week and will be revisiting and strengthening throughout the year as we work hard to build on the friendly, welcoming, inclusive culture that we have at our school. As parents and carers do discuss the Theme of the Week with your children. Ask them what it was, what they have learned and what they are going to do differently in their lives as a result of what they have heard and thought through in the assemblies and related Tutor time activities.